Introducing our new support website! 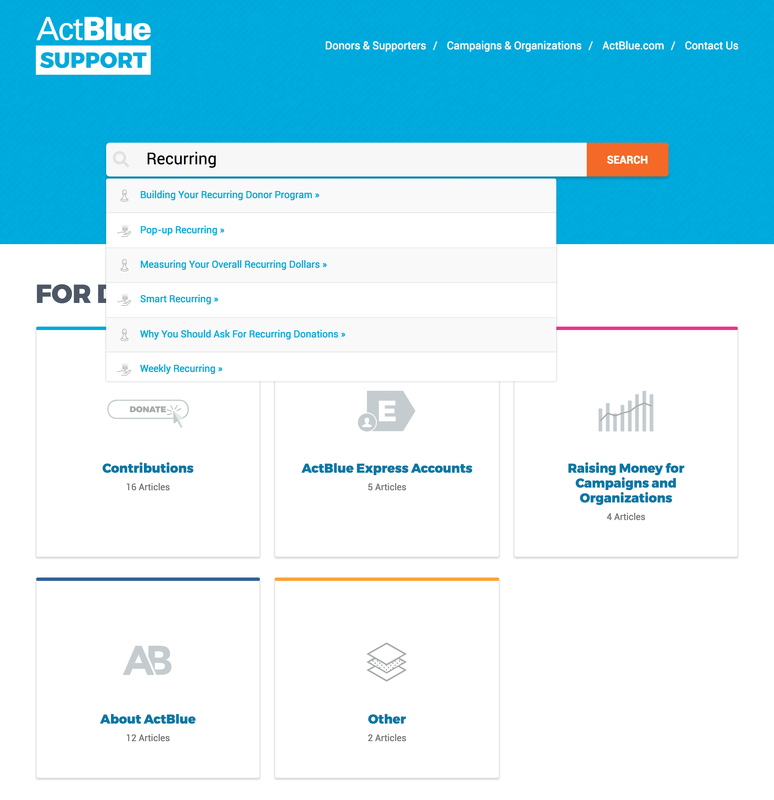 Exciting news: Today we’re launching our redesigned support website for ActBlue admins and donors! We completely overhauled the site to make it more user-friendly for everyone who uses ActBlue, from people running for office for the first time to seasoned fundraisers to folks making their first political donation in response to Trump and the GOP. 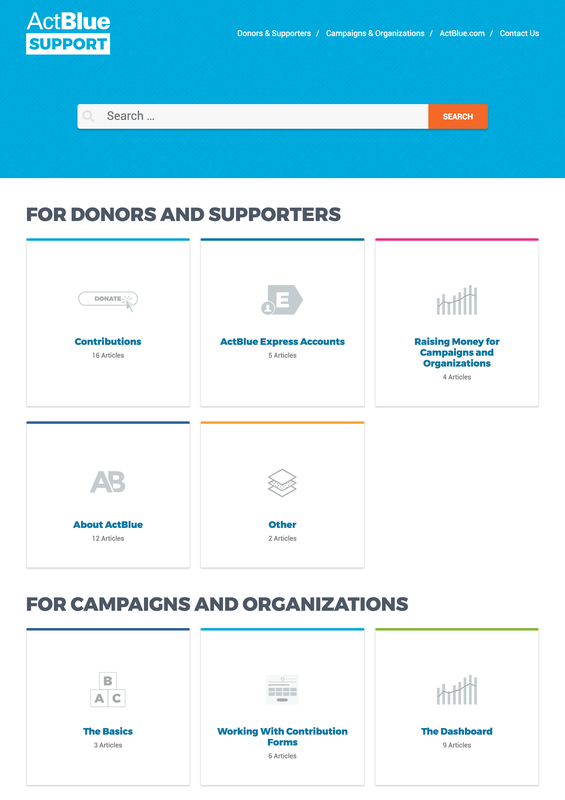 When you visit https://support.actblue.com now, the site is clearly split into two sections: For Donors and Supporters and For Campaigns and Organizations. This way you can immediately know where to look for the information you need! The different categories within these two sections are full of helpful articles and how-to guides. 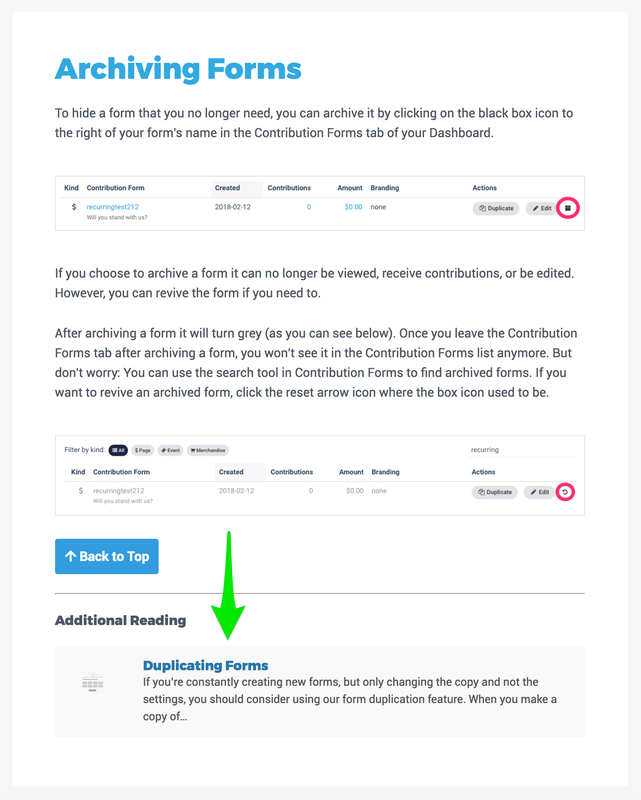 If you’re not sure which category to look in, just use the search bar at the top of the page! We’ve also linked to related topics at the end of every article to make it as easy as possible for you to get the answers you need. Of course, our friendly Customer Service Team is always available to help you if you can’t find what you need online. If you are a donor or a supporter with a question, email us at info@actblue.com. If you work for a campaign or organization that uses ActBlue, reach out to us at support@actblue.com. Or you can always give us a call at (617) 517-7600! We return every phone call and email we receive, typically within 24 hours.